Previously, we have learned quite a lot about On-page SEO – the intricate concepts of it, how it works and how you can make the most of it and harness the true power of on-page SEO. But on-page SEO is just the “tip of the iceberg”, as the most important and powerful aspect of SEO is still hidden under water. Today, in this article we will start digging deep into the concepts of Off-page SEO and understand how it rules almost everything of search engine optimization. We will also learn to master our skills in the art of Off-page SEO and beat the ever-increasing super-tough competition in the SERPs, but before everything all you need to do is thoroughly understand the deep concepts of it. Without a thorough and in-depth understanding of the most basic and fundamental concepts of Off-page SEO, it will be immensely difficult for you to excel in learning SEO properly. But before going into the depths of “popularity”, let us first understand what it actually is. It’s not something much different from the popularity of Leonardo Di Caprio as an actor or Lady Gaga as a singer. The idea is same in the world of World Wide Web, Marketing and SEO too. 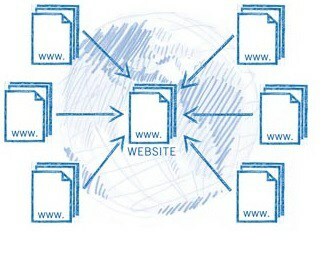 The more popular, trusted and authoritative you are, more will your importance rise in the eyes of the search engines. But why did the search engines fell in love with the concept of “popularity” all of a sudden? They can rank web pages easily by judging the quality (in terms of information and resourcefulness), so why the sudden heck about popularity? The primary reason for the search engines to take the help of “popularity” is its limitation in “truly and perfectly” understanding the quality, usefulness and resourcefulness of a certain webpage or document. 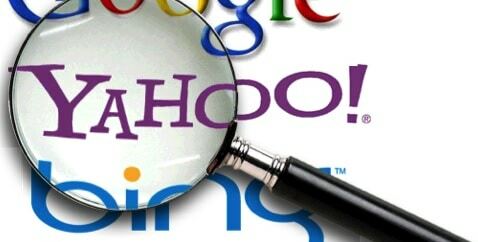 As I had previously mentioned, that the search engines are nothing more than computer programs which work on a set of human-written codes to analyze a particular webpage or document and understand how good it can prove to be for the real humans and rank them on that basis. Though they are quite intelligent, smart and sophisticated, but still they are incapable of understanding what the humans would actually like or what can be truly helpful for them. So, indirectly it is the humans who need to help the search engines to determine what is actually good and what is not. Though the search engines are getting better and more sophisticated day-by-day, still they can never surpass the power of the human brain in reading, understanding, analyzing and then judging the quality of a particular document over the other. It is the humans who have created the search engines and it is us who again need to help them in performing their job better. Suppose your friend Mr. Dumb needs to complete a science project and has got 10 books in hand about “Space-Time Parallax”, but he is unable to understand which one is the best and which one should he mainly rely on. So he gives all of those books to you to help him. Now what you can do is read all of them and tell which one is the best among all and can also sort (or arrange) the book on the basis of their quality and usefulness, for your friend Mr Dumb. Basically, you have made use of your intelligence, prior knowledge and sense of judgment to analyze and reflect your thoughts on which books is the best among all. Similar is the scenario about the search engines too. Obviously they are not dumb like Mr Dumb but still these computer generated programs are way behind the human sense of understanding and judgment. So they need to make the extra effort of understanding how popular the webpages or documents are among the real readers and how much talked about are they. Suppose a company wants to hire a programmer on “Android Development” and organizes an interview for that. Three candidates John, Peter and Dan appear for the interview. All of them are proficient and almost equally skilled in android programming and have almost equal grades in their mark sheets. 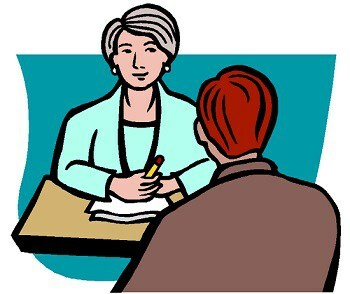 Now the situation gets very difficult for the interviewer to select the one and only one, who can be given the job. He asks them some tricky questions to make the elimination process easier, but still all of them stands out to be nearly equally skilled. Now the interviewer asks for some references, if they have any. Dan doesn’t have any reputed personality referencing him and gets eliminated at the first chance. John shows 3 references from 3 of his childhood teachers who have taught him programming for years. This makes a good impression about John in the eyes of the interviewer and proves his consistency in programming thereby making his chances of getting the job better. Now the interviewer asks for Peter’s references but he is able to show only a single reference from the Director of the most reputed college of their state. The interview session ends and guess who is selected for the job? It’s Peter who gets the job. Though he shows only a single reference, yet he manages to overpower and win over the 3 references of John as the one and the only one reference Peter had was more powerful, authoritative and trustworthy than John’s 3 references. If you have read the example in the previous paragraph, then you must have got a clear idea of the concept of “popularity” and how the search engine use this concept in the World Wide Web to rank webpages. Now let us dig deeper into this concept by understanding the idea of Domain and Page Popularity. To say in short, Domain Popularity is the authority and trustworthiness that a certain domain name have got in the eyes of the search engines, while Page Popularity imparts the same idea on individual pages of a website (and not the entire site). Practically, a certain webpage may be more popular than the entire domain, or vice-versa. But the search engines consider both of them while ranking pages. Suppose an author have written and published 10 different books on “web designing”. The first 4 books were tremendously successful back-to-back, which means that the individual popularity of the books (compare with Page Popularity) were immense which in turn helps in building up the entire popularity of the author (compare with Domain Popularity). So the next few books automatically gets a huge boost at the time of their release, just because of the popularity that the author have gained through the first 4 books. Even though the next few books are not as good as the previous ones or the current competition, still they perform well in the market just because of the trust and authority that the author have gained. But the average (and not-so-satisfactory) quality of the next 4 books slowly work on bringing down the entire popularity that the author had gained before. And the last two books don’t get the initial push that he had got before. Though the last two books bring back the quality he once had but still needs a tough marketing attempt to get good sales, just because he has slowly lost the trust and popularity he had once gained. Now the previous example is enough to help you understand the concept of Domain Popularity and Page Popularity, but let us illustrate this idea even more deeply with a web-based example. Suppose you search for “android rooting”, the first site that pops up in the SERPs is that of Wikipedia, even when there are some sites which provide dedicated information about android rooting and provide much more useful and resourceful information than just a single Wikipedia page, still the Wiki giant stays at the top with grace and the primary reason for this is Domain Popularity. Wikipedia has got a very strong track record of providing thousands of highly informative and resourceful content for a long time. Readers almost always get exactly what they want after landing on a Wikipedia page. 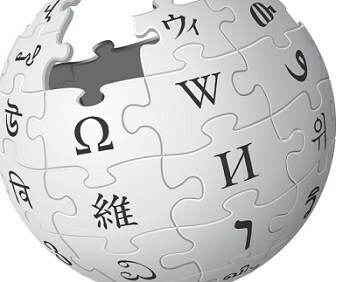 So the search engines trust the entire domain of Wikipedia much more than the other competitors on that particular SERP. The search engines have gotten a feeling that whatever Wikipedia will produce will be good and this is what forms the basis of preferentially putting Wikipedia at the top spots. But this isn’t always the case as there are many situations when a quite new and less popular website, gets one of its pages at the top spots of the SERPs competing with much stronger and authoritative websites with the sole reason of having a strong Page Popularity. Domain Popularity and Page Popularity both are almost equally essential in ranking pages in the SERPs and it is really very difficult to tell which one holds more power and importance but various tests, experiments and expert experiences conclude Domain Popularity to hold slightly more importance than Page Popularity. So our target should be to focus on both of Domain and Page Authority while the former can be achieved if we work on achieving the latter. But how to be more popular, gain more trust and authority? The question is simple but the answer to this question is a bit more involving and will be discussed in detail in the upcoming articles. So, stay tuned for the next articles coming up in this series which will make you learn how to build trust, authority and popularity in the eyes of the search engines and conquer the top spots in the search results page. This entry was posted in SEO and tagged Authority, Domain Popularity, Page Popularity, Popularity on October 7, 2013 by Aritra Roy.